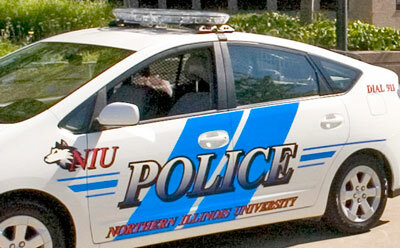 The NIU Police will hold their annual auction Saturday, Aug. 28, in the east grandstand of Huskie Stadium. Viewing begins at 9 a.m. Bidding starts at 10 a.m. Accepted payments are cash or check made out to NIU. Those paying by check must bring a form of identification. Items up for auction include jewelry, bicycles, video cameras, iPods and more. For more information, contact Cynthia Zimberoff at cglodows@niu.edu or (815) 753-1212.